“The Greatest Supply Chain Show on Earth” – that was the slogan for Modex 2016 – and this year’s event at Atlanta, Georgia did not disappoint. During the busy four-day conference, we were fortunate to get a few minutes with Boyce Bonham, Director of Integrated Systems and Controls at Hytrol, a leader in the design and manufacturing of advanced conveyor systems. We peppered him with questions about the state of the industry and wanted to understand how Hytrol is adjusting to – and embracing – current trends and innovating for the future. Cisco-Eagle: What are some of the important trends shaping the manufacturing industry this year and beyond? 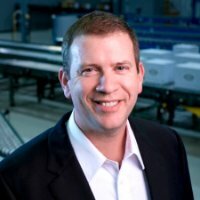 Boyce: The number one trend is manufacturing is growing in the U.S. Many companies are re-shoring their manufacturing processes, and they are looking at what they can do to improve safety and where they can automate to cut down on labor costs. The manufacturing people I’ve met with here are very interested in smarter technologies, even in conveyors, and having more diagnostics. They are looking for products that will reduce their maintenance cost and how that can tie in to maximizing uptime. Many companies want to run fewer lines, but run them longer and have the lines be flexible enough to run different products. The bottom line is people are looking at anything that can help them get more out of their facility and out of their equipment. Cisco-Eagle: Exactly, everyone wants to do more with less. 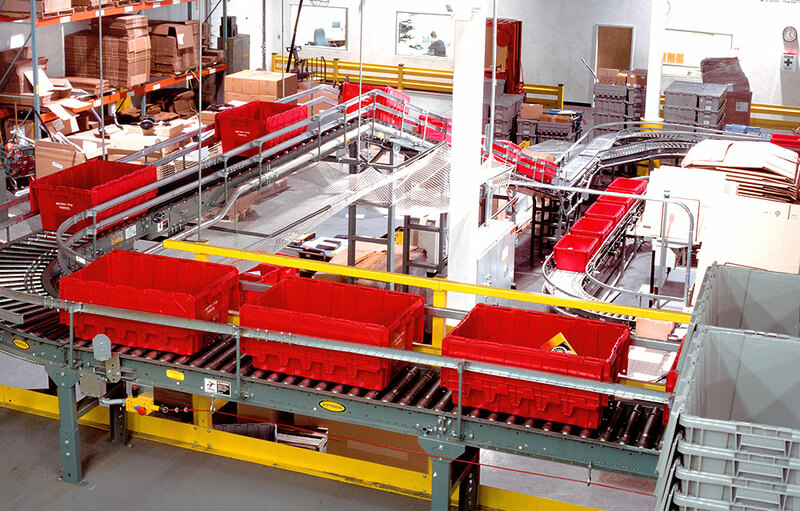 Are there any specific trends that you see in distribution and warehousing? Boyce: Yes, e-commerce is definitely driving a lot of activity. In our area (conveyors) it’s changing the nature of what a typical package looks like. We used to be handling corrugated boxes, plastic totes, things like that in the warehouse/distribution center. Now, it may be poly bags, padded envelopes, flats, things that contain one item, maybe a couple of items, that go directly to the consumer rather than going to a distribution center or store. Cisco-Eagle: What are some of the ways your organization drives productivity, efficiency, and workflow optimization? Boyce: Hytrol is a major, U.S.-based manufacturer and we’ve done a lot of things to really improve our productivity. We converted from mass production to lean manufacturing several years back. However, the key to success in lean manufacturing is continuous improvement. We’re always looking at ways to continuously cut out non-value-added services and we are doing what other manufacturers are doing and that’s investing in better technology and automating more processes. We’ve added new additional laser equipment that’s faster than some of the older laser technology. Right now, we’re implementing a brand-new power coding system because the power coding system we put in back in the ’90s was becoming a bottleneck within our manufacturing facility. The new power coding system we’re putting in today is much faster, and we’re able to double our business with the new system. Cisco-Eagle: That’s incredible that one tweak in your facility can make such a big difference. Let’s switch gears here and talk about the manufacturing skills gap and how you see it affecting the industry. Boyce: As far as replacing talent, that’s a challenge with any company, especially one that’s so heavy in engineering as we are. We have engineers that are retiring or moving. Of course, the generation today, there’s a lot more talent that moves. At Hytrol, we’re doing a lot more to work to attract really good talent, and we’re looking at attracting talent from not-so-far-away regions because we have a better chance of retaining them, because they’re not so far away from home. We have a university in town (Arkansas State University), and we’re helping them with their engineering program in order to build better, tighter relationships with the engineering department. We also have an apprenticeship program where participants have the opportunity to get to know our company. We have them work in every area of the business so they get to know our company culture, get acquainted with the people and so on. It’s been successful. We’re now expanding the apprenticeship program beyond engineering department now. Cisco-Eagle: That’s great, it sounds like a great program and a model for other companies to follow. Safety is always top of mind – in what new ways is Hytrol prioritizing safety? Boyce: Yes, obviously safety, it’s always a priority. It’s a focus for us in making sure that our products are designed with safety in mind, obviously, both looking within our facility to make sure we’re training people properly and making sure they’re working safely. We say we want every employee to go home the same way he came to work. That’s an essential; it’s not an option. Having the right equipment, having it controlled properly is vital, but nothing replaces the proper training for safety. Cisco-Eagle: We couldn’t agree more. As you wrap up your week here at Modex, what are your key takeaways? Boyce: Everybody is looking for ways to automate and make their operation run smoother – and it looks like people are willing to spend money to do so. It’s great news for the industry as a whole. Many thanks to Boyce and the rest of the Hytrol team for their insights and partnership.